The seminar is complimentary, but seats are limited. 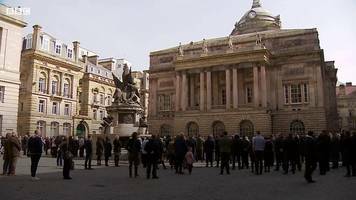 TAMPA, Fla. , April 24, 2019 (GLOBE NEWSWIRE) -- On Saturday, May 18, Government Employee Retirement Benefits Counselors (GERBC) will host their.. Governor DeSantis signs death warrant for Tampa serial killer Robert &apos;Bobby&apos; Joe Long. 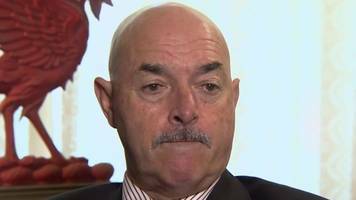 Long was captured in 1984 and he admitted to killing at least 10 women in Hillsborough and Pasco.. 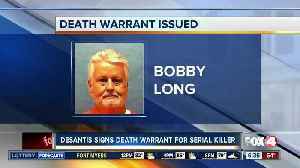 Governor DeSantis signs death warrant for Tampa serial killer Robert 'Bobby' Joe Long. Long was captured in 1984 and he admitted to killing at least 10 women in Hillsborough and Pasco counties. 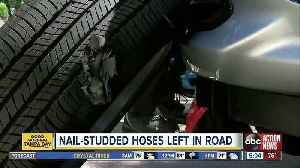 He also.. Partly sunny and warm today. Turning more humid during the afternoon. Mid 80s. 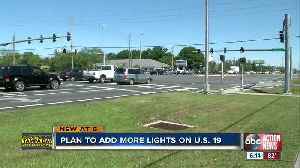 $2M safety project planned for U.S. 19 in Pasco Co.
Pasco County leaders support a $2 million safety improvement project that will include adding more street lights to the intersection and upgrading current lights. 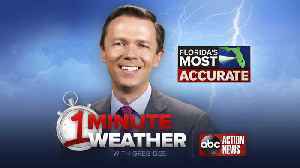 The Flordia Department of..
Mostly sunny and warm. A few afternoon clouds. Highs in the mid 80s. Mother helps to bring mental health training to Hillsborough County Public Schools. 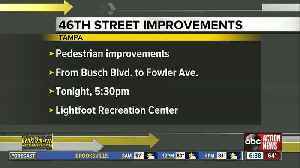 The City of Tampa is holding a public meeting on Tuesday to talk about improvements to 46th Street in the University area. 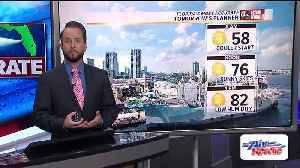 Mostly sunny and mild with low humidity and light winds. Mid 80s. 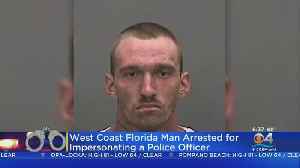 Hillsborough County Sheriff's Office arrested Matthew Erris after they said he was impersonating a law enforcement officer. Morning showers then sunny, breezy and cooler. Highs in the low 70s. A few more showers may return late in the evening. 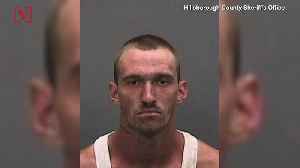 A Florida Man who was pretending to be a police officer, ended up getting arrested when he pulled over an actual police officer. Veuer's Sam Berman has the full story. 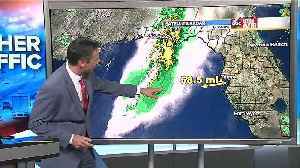 Severe weather is making its way toward the Tampa Bay area and Friday afternoon could get messy for much of the area. 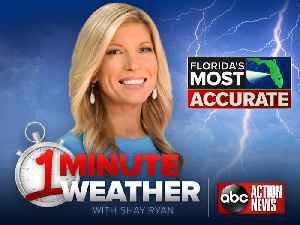 The highest rain chance is between 3 p.m. and 5 p.m. What to expect >>..
All over a street in the Fawn Lake subdivision near Citrus Park Mall, people found nails embedded in pieces of hose. 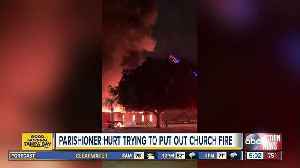 The Hillsborough County Fire Department is investigating a 2-alarm fire at a church in Brandon Thursday night. 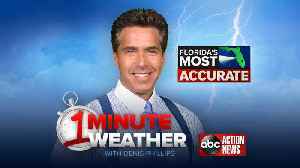 Afternoon rain and storms, some could be strong. Windy and warm with highs in the 80s, cooling into the 70s behind the rain. 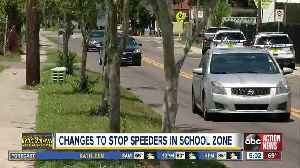 Drivers caught doing 30 mph outside of a Tampa elementary school won't face citations because the school zone signs have the wrong time. 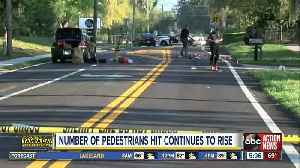 An ABC Action News review of the latest data found at least one person is hit every day while walking on roads in Hillsborough and Pinellas counties. As more retail and restaurants pop up in the Riverview area, behind the new Texas Roadhouse restaurant sits a $44 million clinic for veterans that will allow the residents in the booming area a shorter..
Dublin, April 22, 2019 (GLOBE NEWSWIRE) -- The "The V2X (Vehicle-to-Everything) Communications Ecosystem: 2019 - 2030 - Opportunities, Challenges, Strategies & Forecasts" report from SNS Telecom & IT..
CRANBURY, N.J., April 19, 2019 (GLOBE NEWSWIRE) -- 1^ST Constitution Bancorp (NASDAQ: FCCY), the holding company (the “Company”) for 1^ST Constitution Bank (the “Bank”), today reported net..
TAMPA, Fla. (AP) — A Florida sheriff’s deputy has been cleared in the fatal shooting of a 52-year-old man who authorities say had a history of intentionally cutting himself. 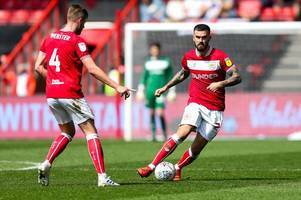 The Tampa Bay Times..
Sheffield Wednesday fans are split in their views as to whether or not Kieran Lee should be offered a new deal at Hillsborough. 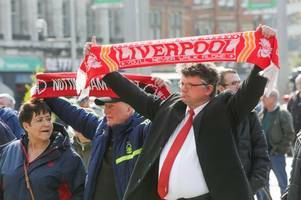 Liverpool have issued a statement condemning a section of their support for their behaviour during the 2-0 victory over Chelsea on Sunday. 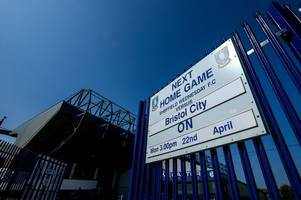 A flare was thrown into the away end, striking a nine-year old..
Liverpool’s first team, women’s and academy squads came together to pay their respects 30 years on from the Hillsborough disaster. 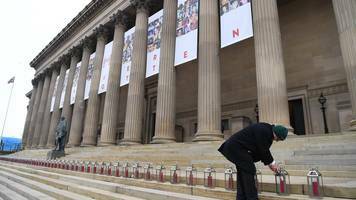 Jurgen Klopp and captain Jordan Henderson laid a wreath at the..
Former Liverpool keeper recalls how fans begged him to help at Hillsborough disaster 30 years ago. 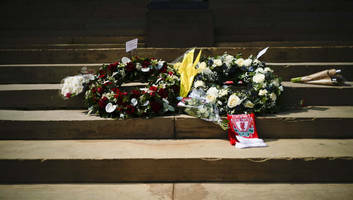 Liverpool’s first-team squad laid wreaths outside Anfield to mark the 30th anniversary of the Hillsborough disaster. 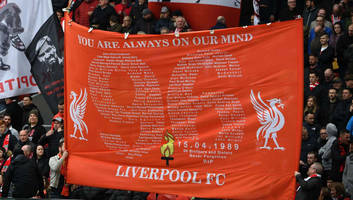 The players – led by manager Jurgen Klopp and captain Jordan Henderson..
A minute's silence will be held in Liverpool at 15:06, the time the 1989 FA Cup semi-final was stopped. 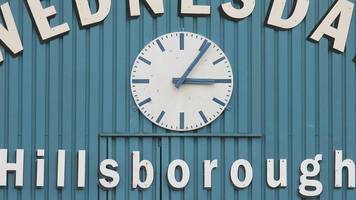 To mark the 30th anniversary of the Hillsborough tragedy, Rob Wright speaks to: Liverpool captain on the day Ronnie Whelan, Reds fan Peter Breen and RTE commentator George Hamilton, to build an oral..
Monday marks the 30th anniversary of the Hillsborough disaster. 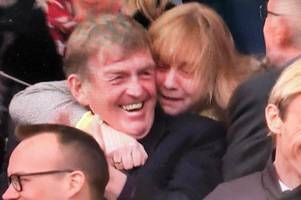 The worst stadium tragedy in British history and its aftermath still haunts English football, with a recent twist in legal proceedings..
Margaret Aspinall hugged the former Liverpool player and manager after the Reds scored against Chelsea on a day when the club remembered the victims of the 1989 disaster. HILLSBOROUGH, Calif. (AP) — The owner of a San Francisco Bay Area home adorned with fanciful Flintstones characters says meddlesome bureaucrats are the only ones concerned with her Barney and Betty..